The Urus SUV is well suited to India's rough roads. MUMBAI -- Lamborghini is betting the Urus, its first SUV, will help win it more customers in India, a market that accounted for less than 1 percent of its global deliveries last year. After selling fewer than 30 cars in the South Asian country in 2017, the automaker is aiming to triple the number in two years, Sharad Agarwal, head of Lamborghini local unit, said in an interview. In comparison, the company sold 265 units in the Greater China region. The Urus "is the right Lamborghini for India," Agarwal said in Mumbai. "It is expanding the market by bringing in customers from premium sedans and premium SUVs." Lamborghini is among sports-car makers introducing SUVs to appeal to a wider group of customers who prefer more space and a higher suspension. Poor quality roads in developing countries such as India make it virtually impossible to drive fast cars like the Aventador or the Huracan from Lamborghini. Owned by the Volkswagen Group, Lamborghini is targeting India's wealthy from technology entrepreneurs to Bollywood stars. There were 119 billionaires and about 20,700 individuals with net assets of $10 million or more in the country as of last year, according to a report by New World Wealth. 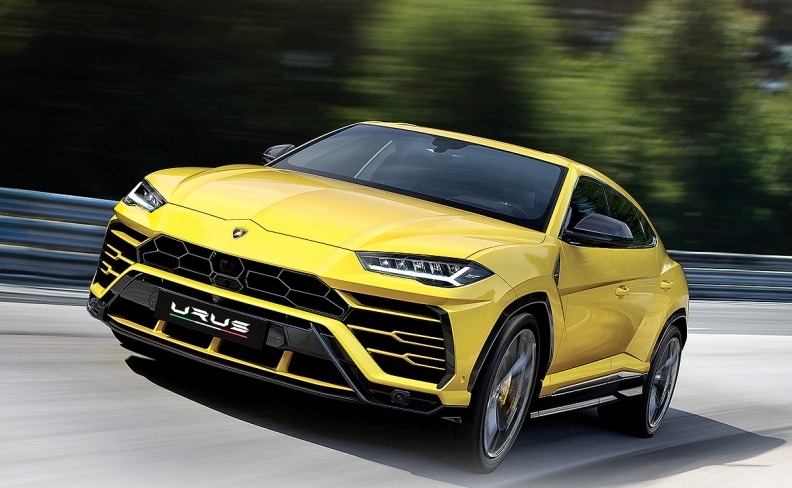 The Urus, which started deliveries this year, accounted for 68 percent of the registrations by first-time Lamborghini buyers in India, Agarwal said without elaborating. The showroom price of 31 million rupees ($418,000) compares with an estimated $200,000 in the U.S. and 3 million yuan ($433,500) in China.